The 2018 Canadian Men’s Senior Championship heads to Gowan Brae Golf & Country Club for the 57th playing of the event on Sept. 4-7, with a practice round to take place on the 3rd. Designed by Mr. C.E. (Robbie) Robinson, Gowan Brae was established in 1958 as a nine hole venue before it was turned to eighteen holes in 1962. 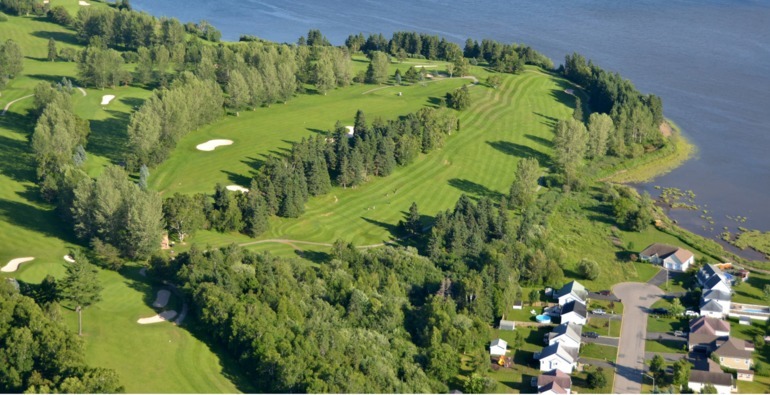 Constructed along the windy shores of the Bathurst Harbour near the Bay of Chaleur, the course features water views from at least 14 different holes throughout. A full field of 156 competitors aged 55-and-over will take to Gowan Brae for the 57th playing of this national championship in hopes of joining its list of notable winners. Returning to defend his Canadian Men’s Senior title is Gene Elliott of West Des Moines, Ill., who shot a final-round 70 to win the event by two strokes. Following the opening two rounds, the field will be reduced to the low 70 players and ties. The champion will receive an exemption into the 2019 U.S. Senior Amateur championship to be contested at the Old Chatham Golf Club in Durham, N.C., from Aug. 24-29. A 65-and-over Super Senior Championship will also run concurrently throughout the championship, crowning a champion after 72 holes of play. In 2017, Paul Simson of Raleigh, N.C., claimed a one-shot victory in the division over Lance Lundy of Pemberton, B.C. An inter-provincial team competition for the Phil Farley Trophy will also be contested over the tournament’s first two rounds. Team Alberta will be looking for their third consecutive inter-provincial title after a 3-over 283 in 2017 gave them a commanding twelve-stroke victory over Team British Columbia. Additional information from the tournament can be found here. Gene Elliott of West Des Moines, Ill. The 56-year-old comes in as the event’s defending champion. He has won three titles in 2018 — Golfweek Senior National Match Play, Iowa Masters and George C Thomas Invitational – Senior — in addition to four top-three finishes this season. Graham Cooke of Hudson, Que. The 71-year-old is a member of the Canadian Golf Hall of Fame and has won the event four times (2001, 2002, 2008 and 2009). 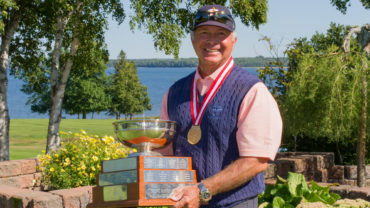 Cooke, who helped to renovate the host course, recently won the Championnat Senior Montreal and is one of Canada’s greatest amateur golfers of all time, holding the record number of wins at the Canadian Men’s Mid-Amateur Championship with seven. Jack Hall of Savannah, Ga. The 61-year-old won the event in 2015 and finished T3 last year. In 2018, he won both the National Senior Amateur Hall of Fame and the Georgia Senior Match Play Championships. Doug Roxburgh of Vancouver B.C. 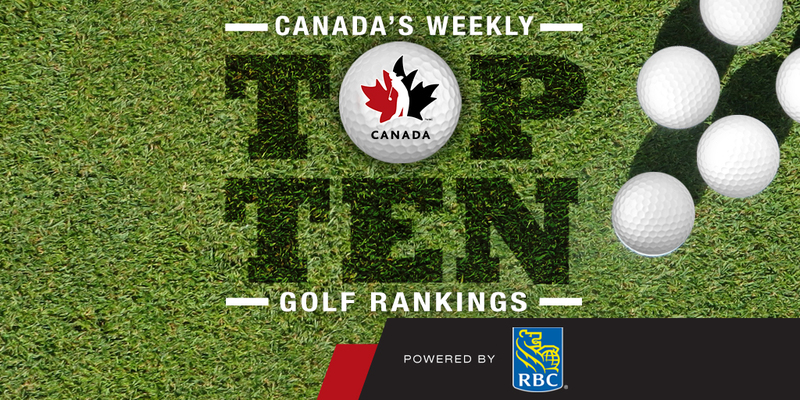 The 2014 winner of the event is a member of the Canadian Golf Hall of Fame and was the low-Canadian in last year’s tournament after finishing T6. The 66-year-old won the Canadian Men’s Amateur Championship four times (1972, 1974, 1982 and 1988). He also has the record for most wins at the B.C. Men’s Amateur Championship with 13. David Schultz of Calgary, Alta. The 61-year-old won the event in 2013 after making a birdie on the final hole of the tournament. Schultz also won the 2016 Guardian Capital Alberta Senior Men’s Championship and the Calgary City Amateur Championship – the latter he won five times – earning himself a spot in Calgary’s Golf Hall of Fame. Golfers must be 55 and over to be eligible. In 1995, the 70 and over Canadian Super Senior division was added and is contested through the first two rounds. For the first time, this competition will be contested over 72 holes. The inter-provincial competition, which began in 1977, occurs concurrently over the first two rounds. The champion is awarded the John Rankin Memorial Trophy. The winner of the Super Senior division is awarded the Governors Cup. Calgary’s Bob Wylie has won the event seven times since 1985. Nick Weslock won the event six times between 1973 and 1983. Paul Simson became the first person to win the British, U.S. and Canadian senior titles in the same year in 2010. The winner receives an exemption into the 2019 U.S. Men’s Senior Amateur Championship. Officially opened in 1958 as a nine hole venue; by 1962 the course was open for 18 holes of play. Designed by Mr. C.E. (Robbie) Robinson. Renovated by seven-time Canadian Men’s Mid-Amateur champion Graham Cooke. The property was essentially donated to the Bathurst Golf Association by Leach Investments, of Winnipeg. 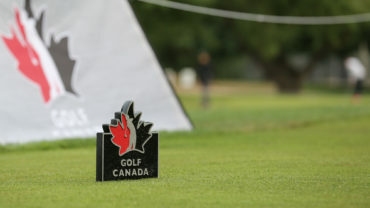 Hosted four National Championships including the 1998 Canadian Men’s Mid-Amateur and the 2006 Canadian Junior Girls along with many other provincial and Atlantic competitions. The 6,700 yard layout features 4 sets off tees to offer a great experience to all skill levels.